Three Barred Reversible Sterling Silver Cross with "SAVE US" engraving on the back side. Size of the cross without bail 1 1/2"
The picture shows the cross with optional chain. 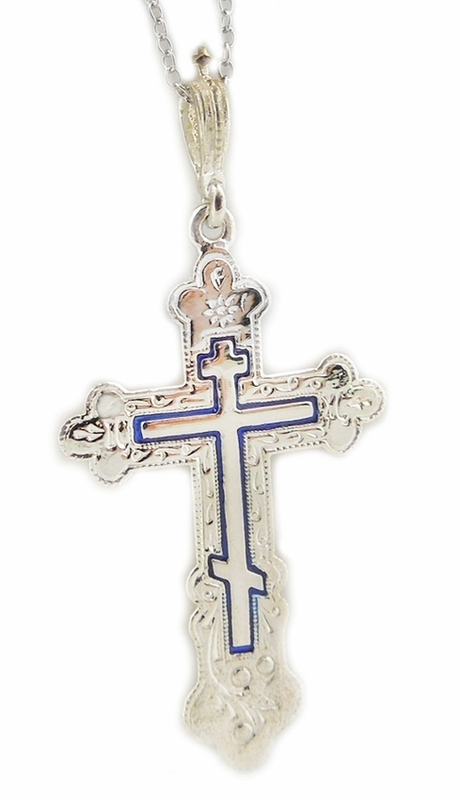 Product: Three Barred Reversible Sterling Silver Cross "SAVE US"
Russian Reversible Silver Cross w/Corpus Crucifix, 1 1/2"